What is a secure mail server and how does it work? 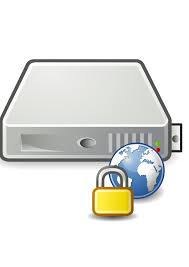 A secure mail server is designed for security purposes and it cannot be exploited. It supports SSL protocol for SMTP and login. Passwords and messages are encrypted and are not visible on the internet. It also includes an optional ‘SurgeVault’ encryption mode for end-to-end encryption. This type of encryption module has a unique “mirror” feature for live replication of mailboxes and configurations. A nightly backup is not the only secure method storing important data. Why do I need a secure email server? One of the fastest growing cyber crimes is the stealing of sensitive information by hackers. Secure email services encrypt all the information moving in and out of an interface. In this case, even if a hacker is able to access the sent and received information, it won’t be visible when transferred via Secure Email. Email hosting services are integrated with MS Outlook and various other business services to provide enterprise requirements worldwide. Financial, government, healthcare, legal, military, and general business entities, take full advantage of email hosting services. It secures your communications with the help of email access and collaborative tools. Gives you a choice of 4 different webmail interfaces: Traditional HTML interface, dynamic interface and stripped down mobile interface. Corporate email hosting must be private and secure. All businesses should protect informative customer data at all levels. Specific privacy and confidentiality restrictions should be established for financial, healthcare, and legal sectors as well as government agencies. It provides a better alternative to Office 365 and MS Exchange. Many businesses are moving towards Secure email servers to control the high infrastructure costs. Secure email services are designed to protect your privacy. It provides services for protecting all essential data when surfing the web. It is easy to use like Hotmail or yahoo, and provides powerful capabilities for professional email-user demands and anyone who is concerned about their privacy online.